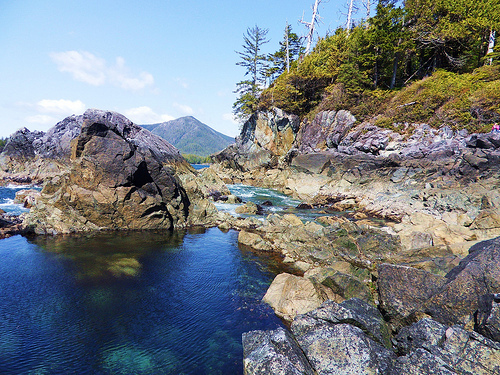 These springs, located on Vancouver Island (Maquinna Marine Park, Tofino) are in a gorgeous wild setting, a series of pools by the ocean. You need a boat to get there (there are organized tours) and be prepared for a hike through the woods once you arrive, though the walk is beautiful and not at all difficult. 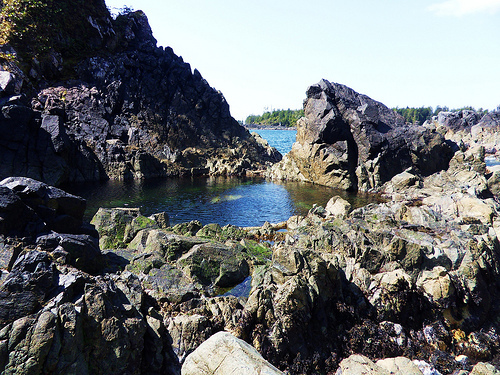 The springs are contained within lovely natural rock pools. 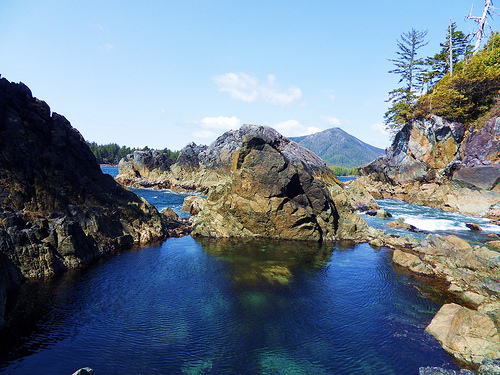 At high tide, ocean water mixes with the mineral spring water. 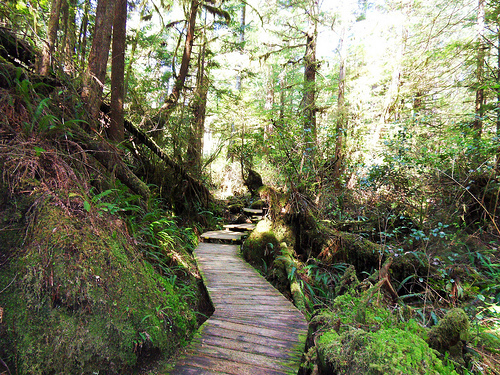 The journey to the hot springs includes plenty of great scenery as well. 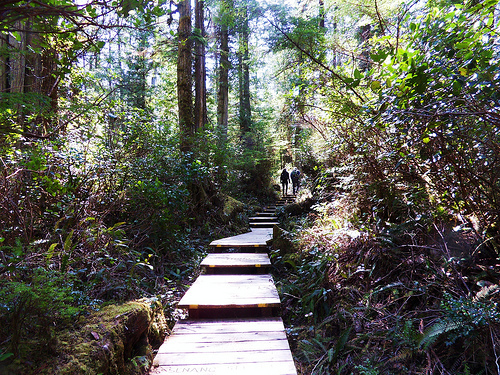 You may see whales during the boat trip and the path to the springs winds through a pretty forest. 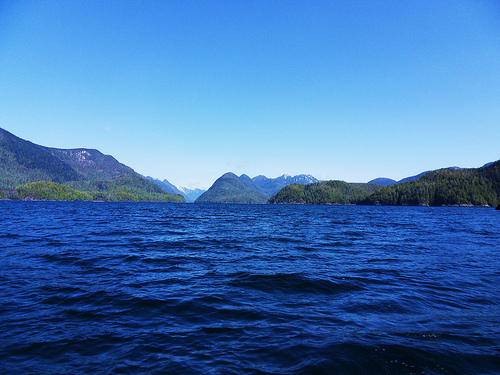 You can find more information on Hot Springs Cove at BCHotSprings.com. 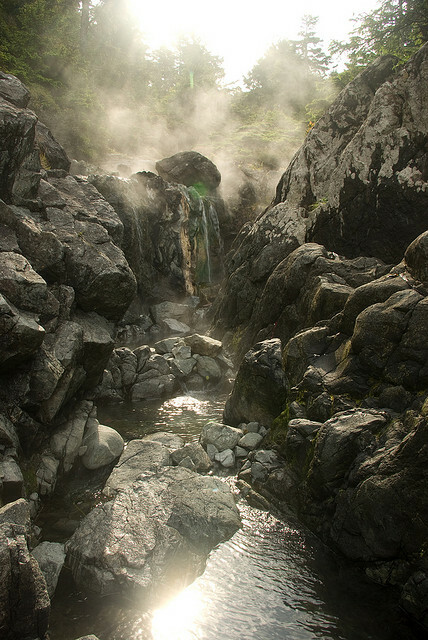 For information about other BC hot springs, see the main Hot Springs page. For a full list of activity descriptions, visit the main Activities page. *Conditions may have changed since the time of this writing.